The story is set in the human realm (Tokyo's Shibuya ward) and the bakemono realm ("Shibutenmachi"). In these two worlds which must not intersect, there lives a lonely boy and a lonely bakemono. One day, the boy gets lost in the bakemono world, becomes the disciple of the bakemono Kumatetsu, and is renamed Kyuuta. 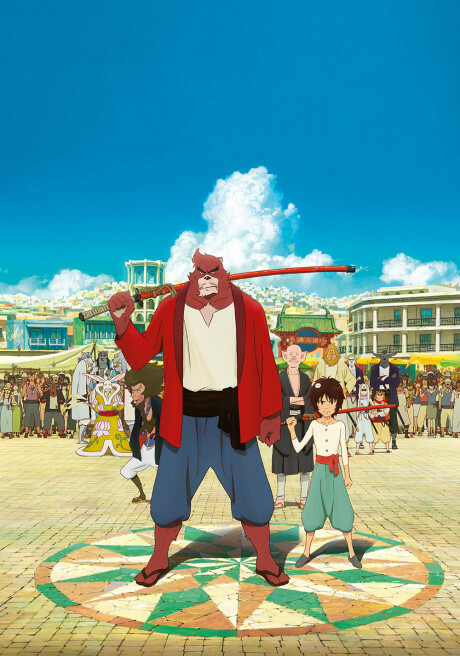 Takes us through an amazing journey of fatherhood in a fantasy type setting, beautiful scenes and excels in animation.